A rumination on experience and the spirit of political militancy from longtime activist and media gadfly Gitlin (Journalism & Sociology/Columbia Univ. ; Media Unlimited, 2002, etc.). So, he asks the recipient of these well-framed reflections, you would like “to do something useful against the crimes and sins, the starvation and massacre, torture and terror, ecological damage, disease, bigotry, the suppression of castes (women and racial groups among them), a whole multitude of oppressions”? Good, says Gitlin: any time is a good time to change the world, and don't forget to smile, to sing, to bring the garlic, and to invite the prankster of possibilities. Don't forget strategy and duty (respectful to all, obsequious to none), or love, that brittle substance full of philosophical and psychological thickets, or adventure. 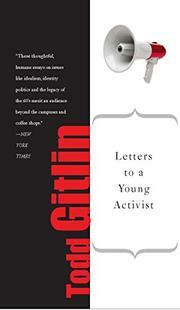 These are not simply words for Gitlin, but life forces, and he trundles out all manner of experience with a vibrant handful of anti-establishment movements to illustrate the various themes he is getting at: the novelty of each historical situation; the critical balance of spontaneity and tactic; the need to be suspicious of power and yet recognize its ability to do good, to fight while realizing that you can't always get what you want. Act as a citizen demanding social equality while staging “farce, pranks, surrealism on stilts,” he advises. “Do good by having fun. Get away with it.” Gitlin points out the potholes in the road—the market for bravado, the backfires of rage, the inevitable face plants—as he suggests ways to go about assuming our responsibility for political action in a time of “gluttony, glibness, mediocrity, and evasion,” with a wary eye on the lookout for perverse consequences. If you don't agree with what he happens to be saying at the moment, well and good: “Only in autocracy is doubt a breach of decorum.” None of this is prescriptive, but inspiring and darkly ironic. Be reasonable, Gitlin urges: ask the impossible. Good, provocative stuff: thinking, decent, inclusive.